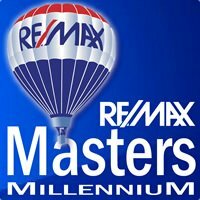 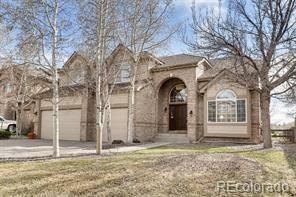 Stunning custom home on Thorncreek Golf Course! 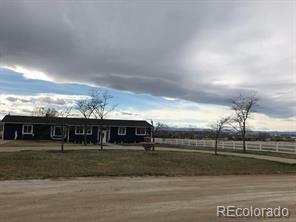 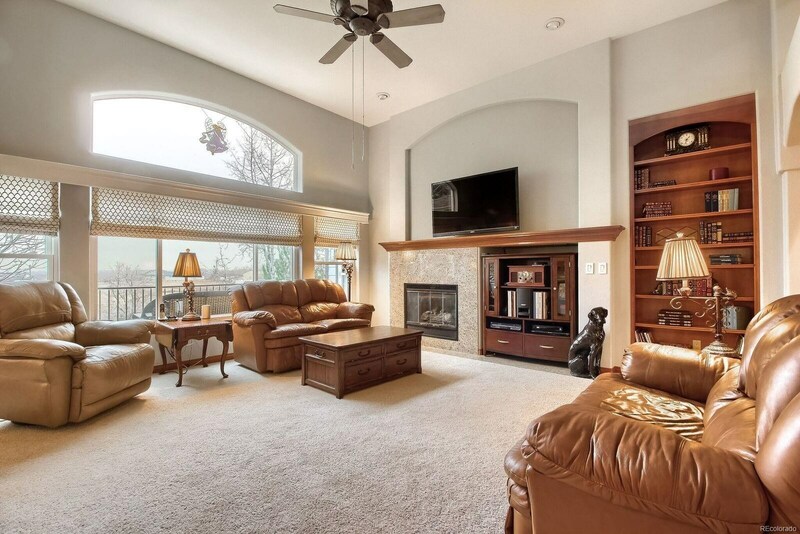 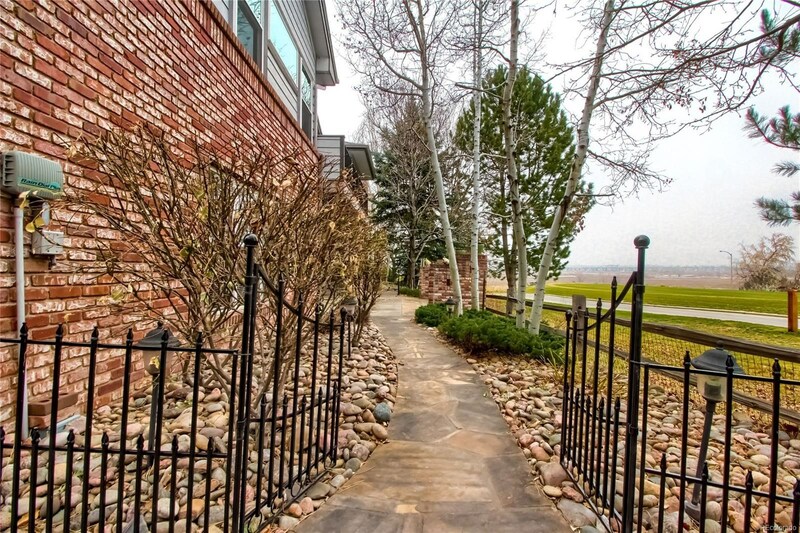 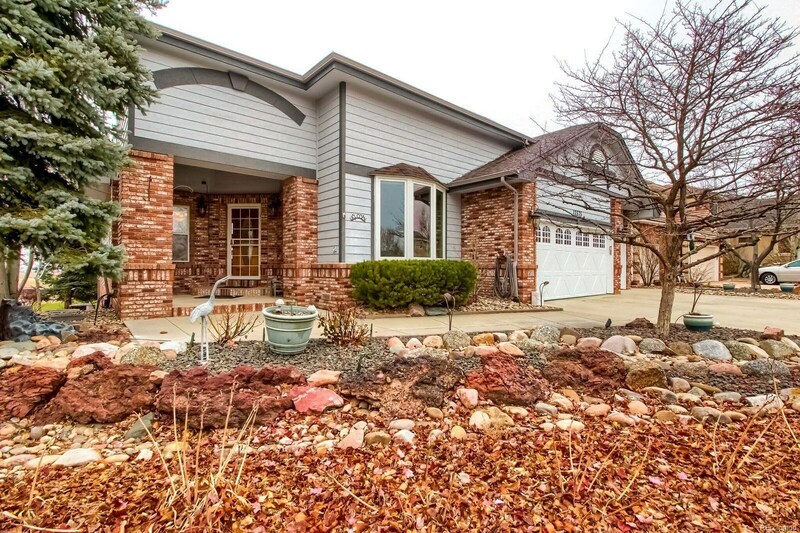 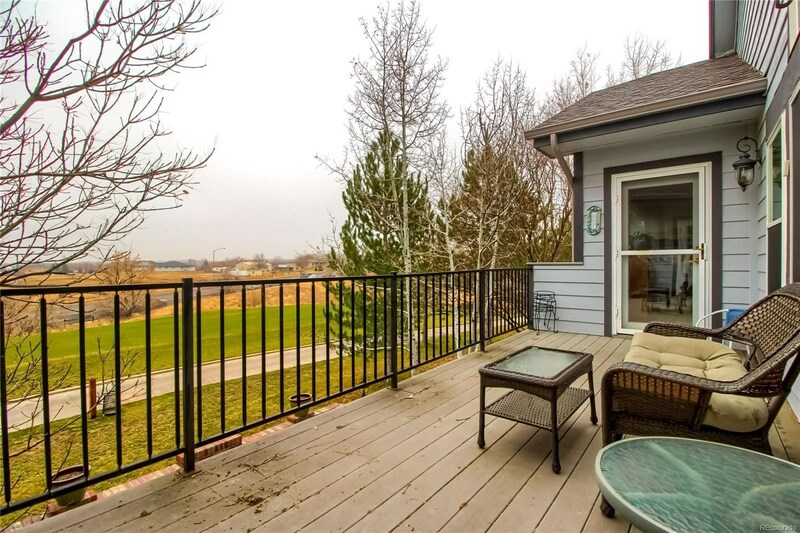 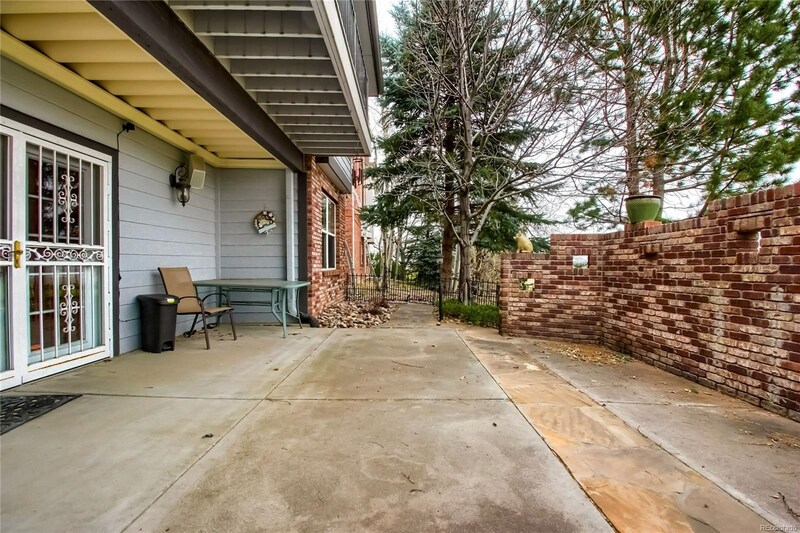 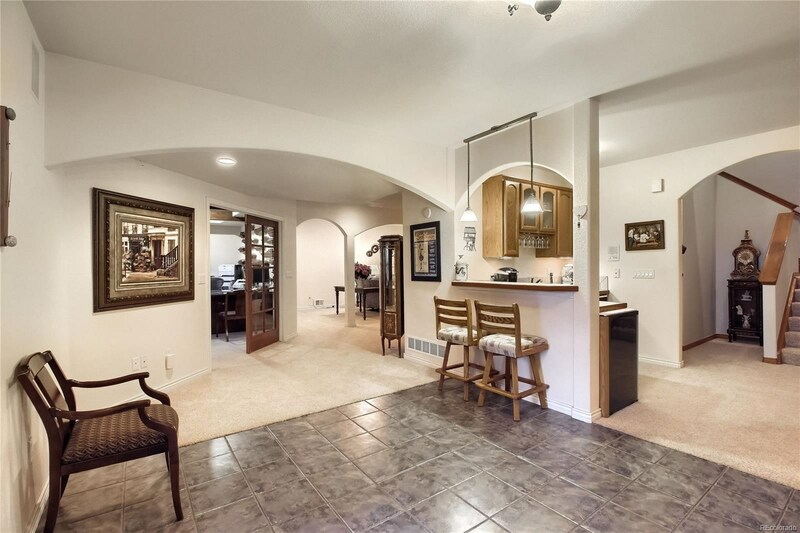 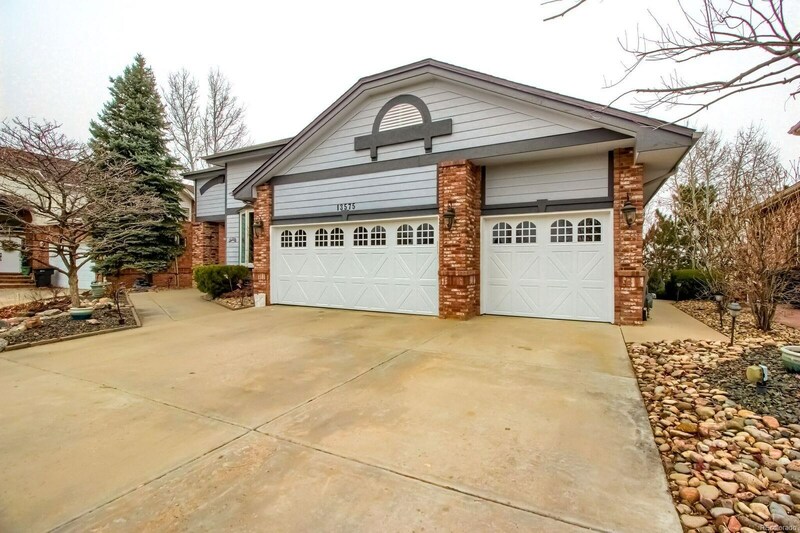 Rare 3-car garage ranch with dramatic vaulted ceilings and great views. 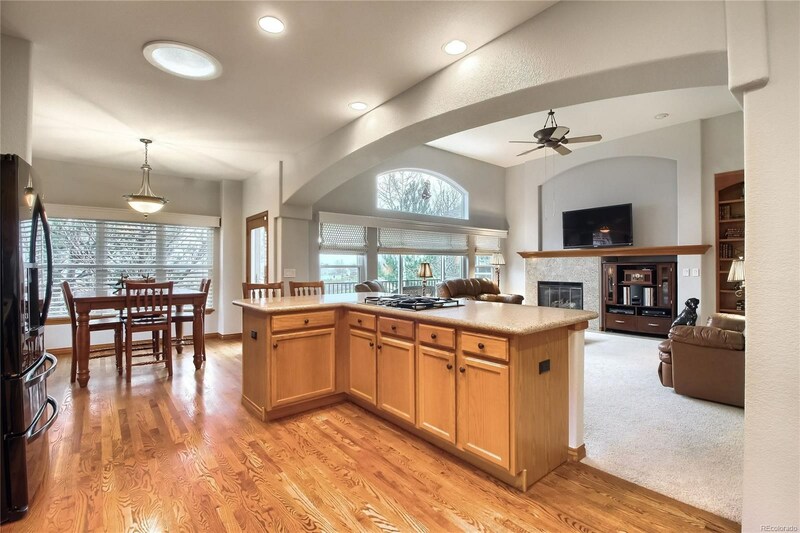 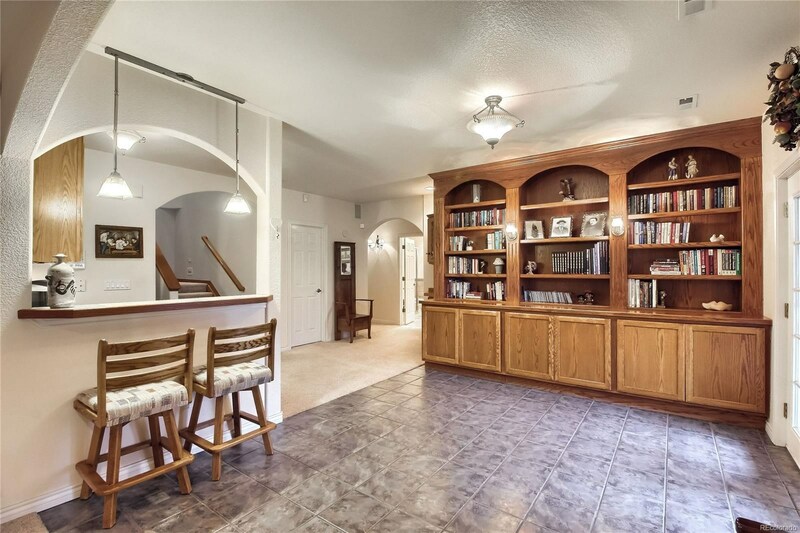 Wonderful foyer and open floorplan, coffered ceilings and arches throughout this lovely 4 bedroom, 4 bath (over 4100 FSF) home. 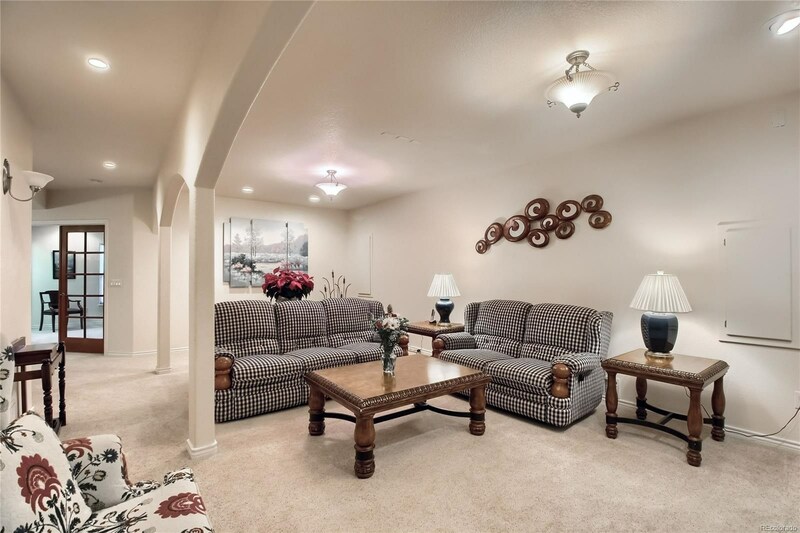 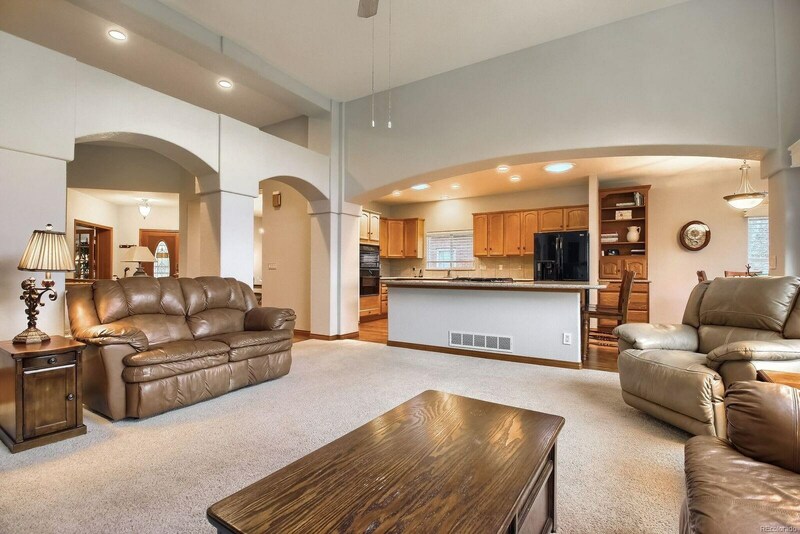 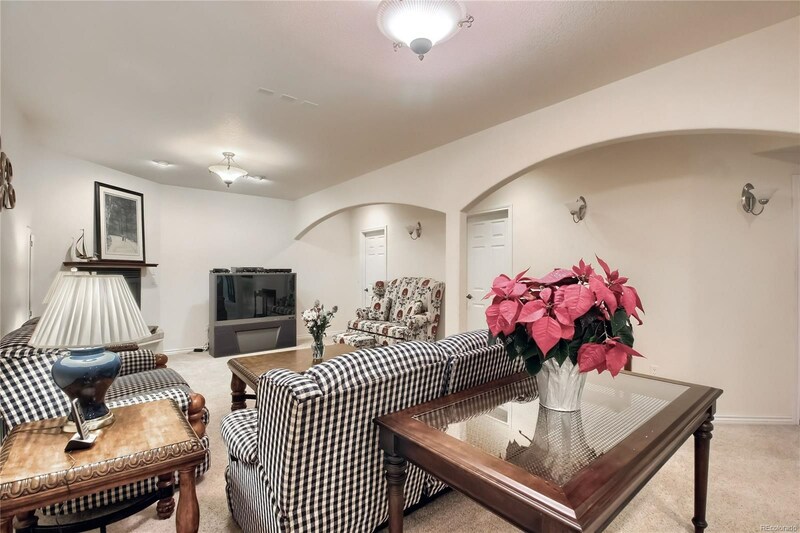 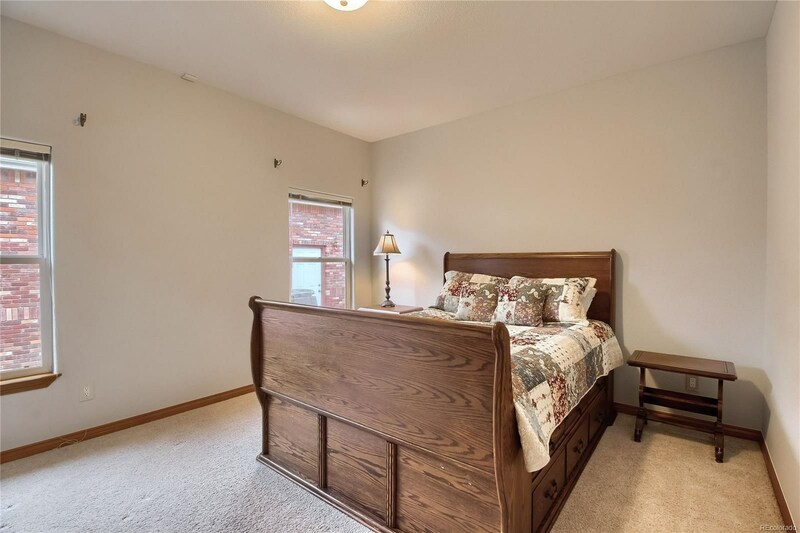 Spacious rooms with plenty of natural light! 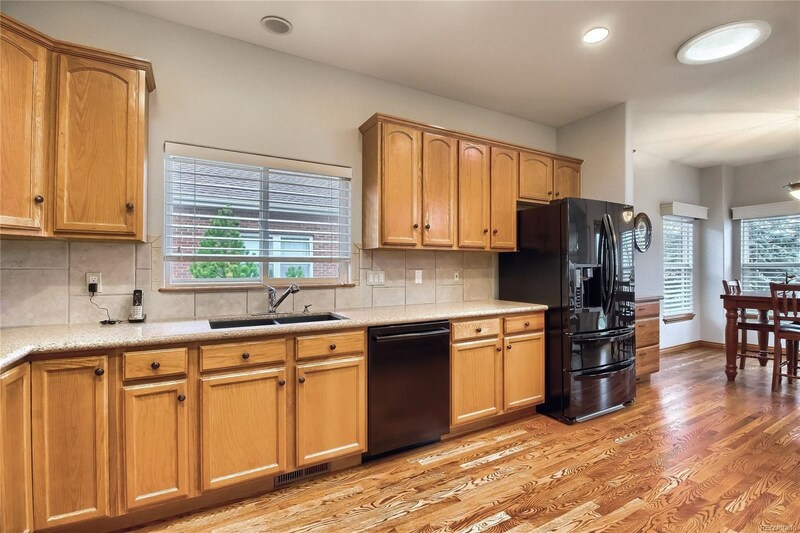 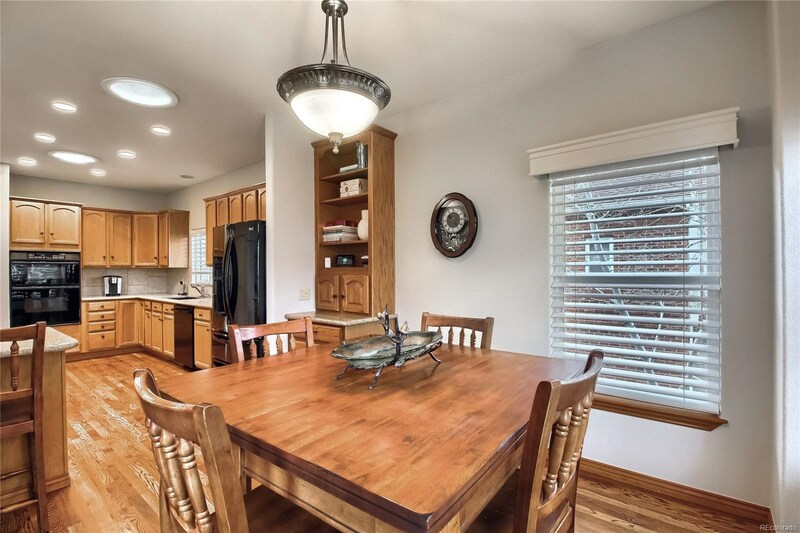 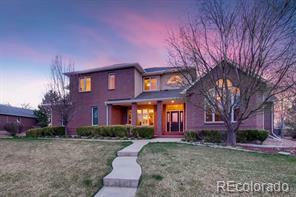 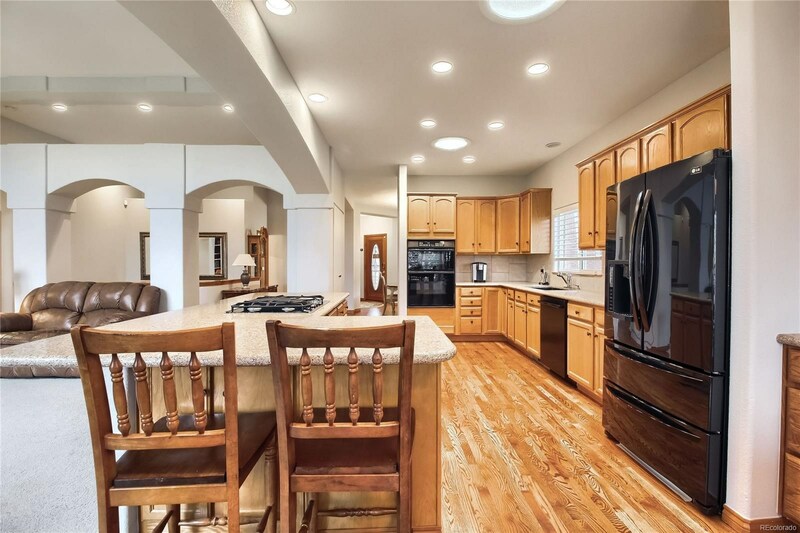 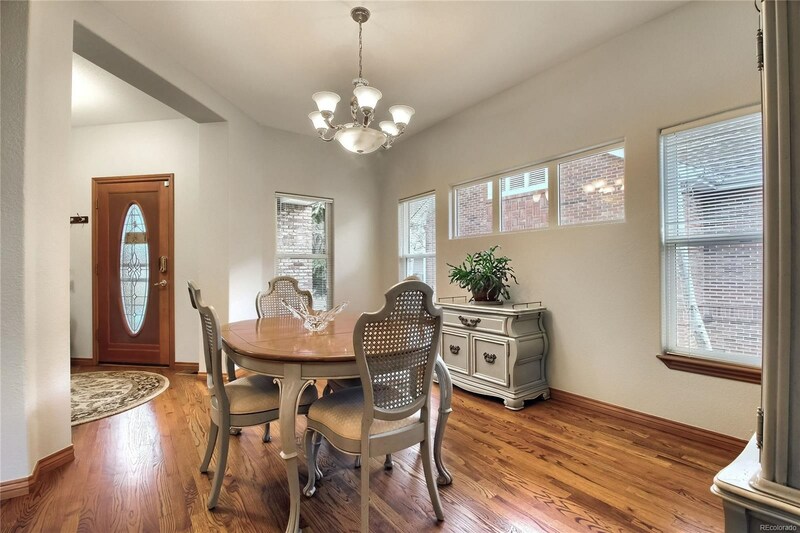 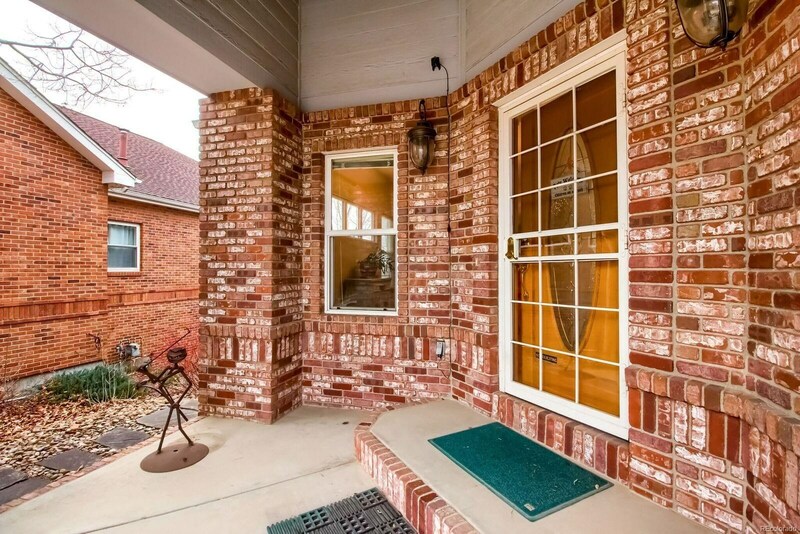 Formal dining room, plus a terrific kitchen w/granite tops, island, new appliances, roll-out drawers and large breakfast nook that leads out the door to a Trex deck overlooking the course. 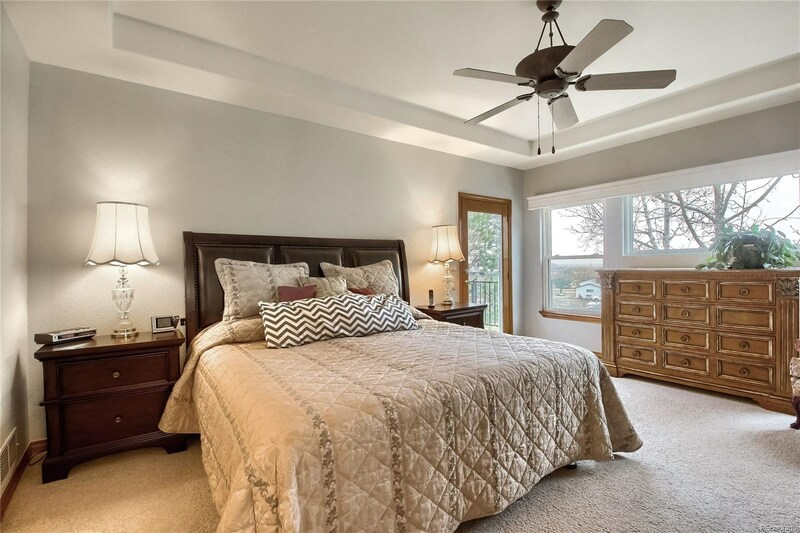 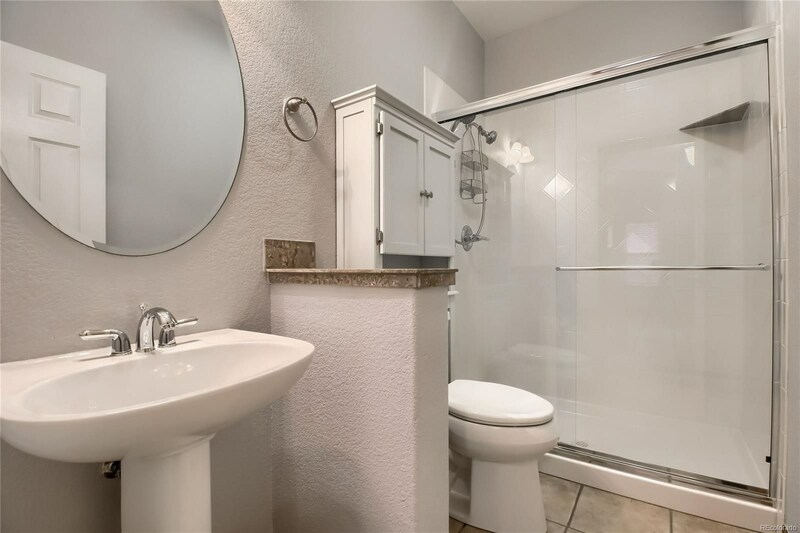 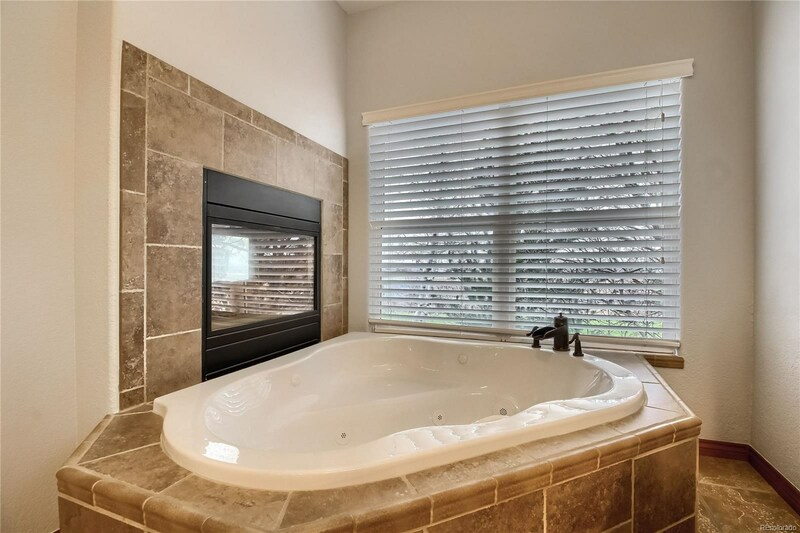 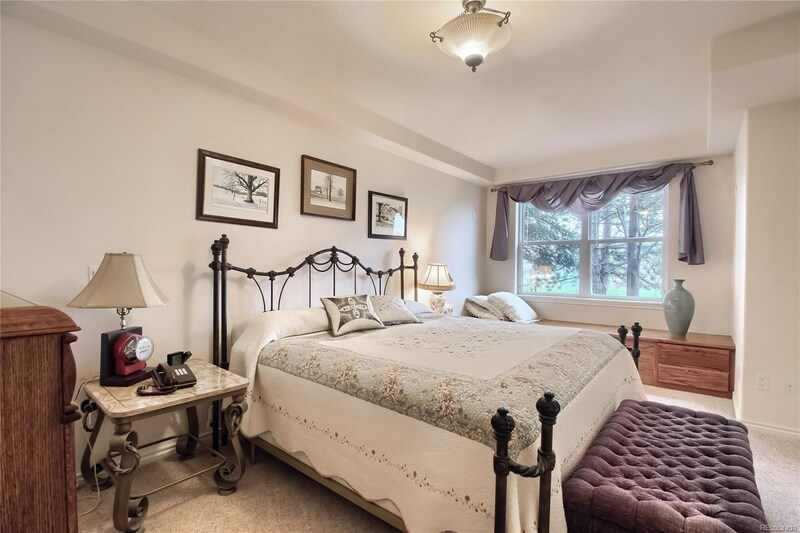 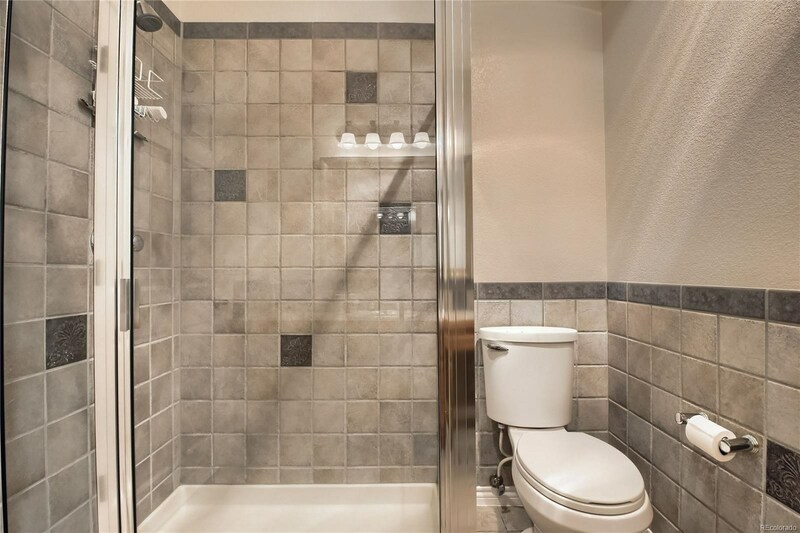 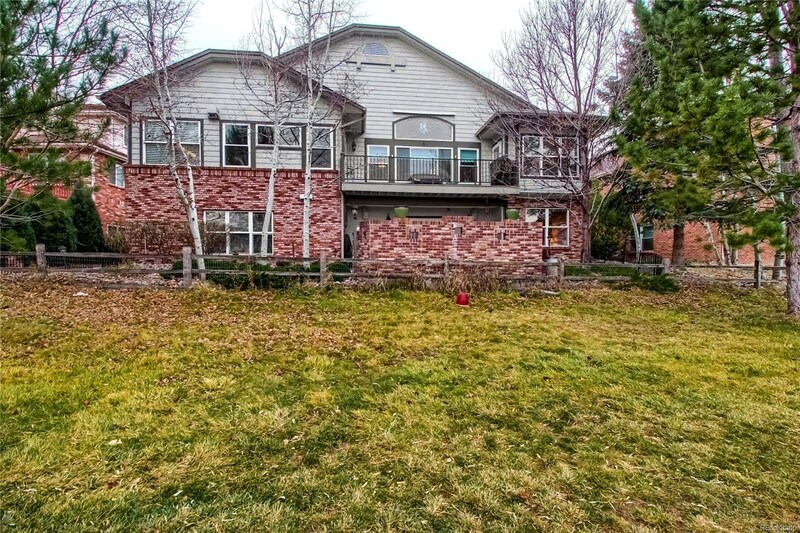 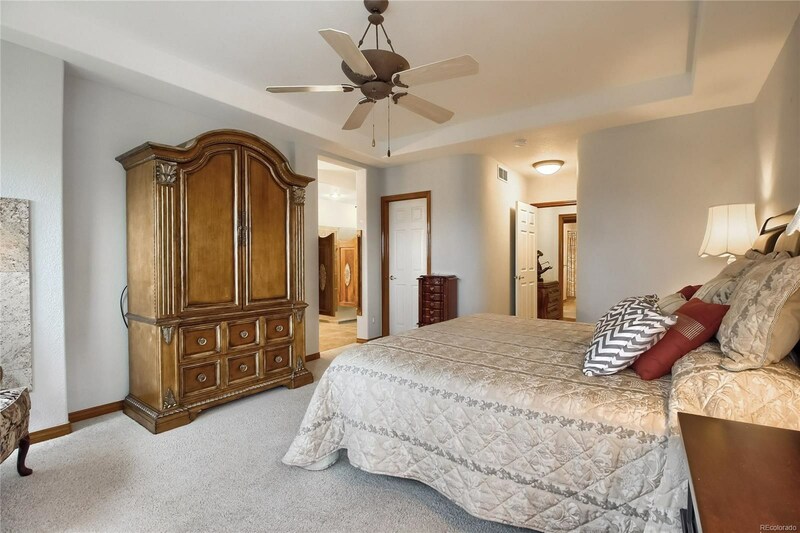 Two large bedrooms up including master suite w/2 walk-in closets, door to outside balcony and a 2-sided fireplace, cozy up to the luxurious soaking tub! 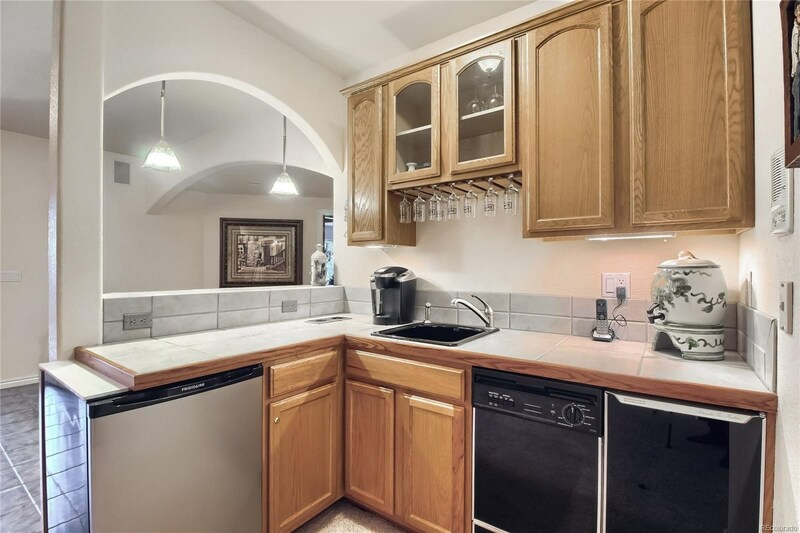 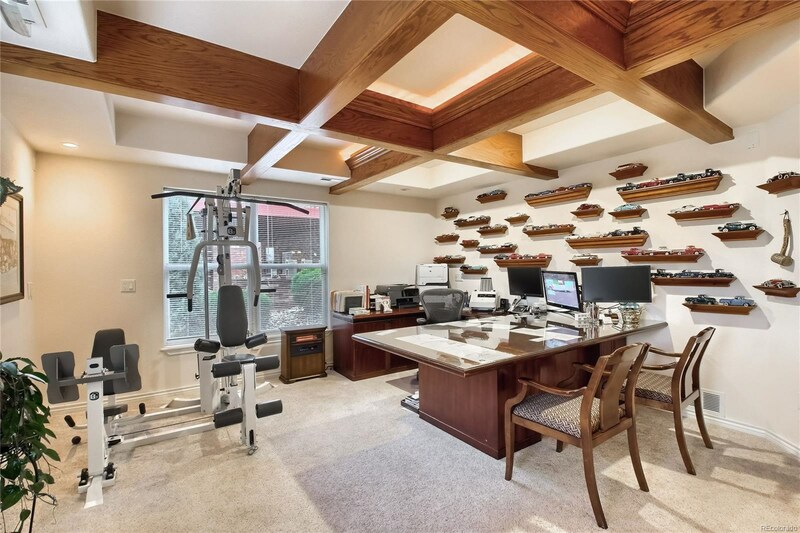 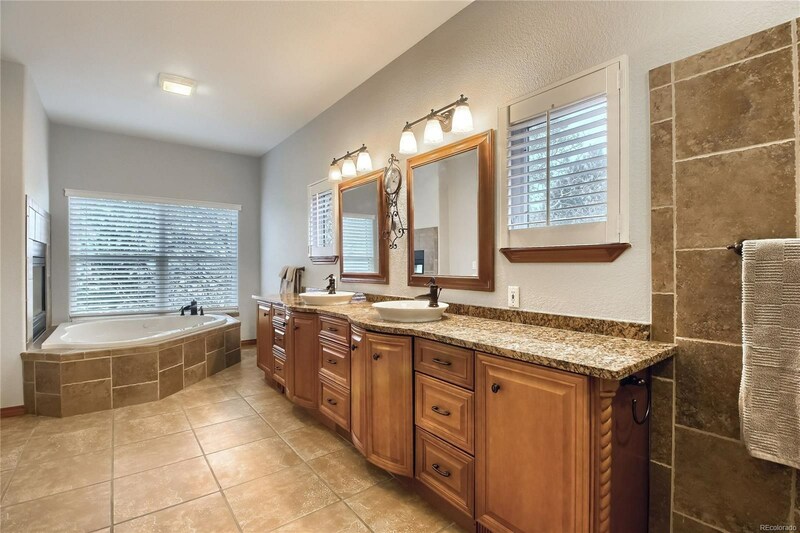 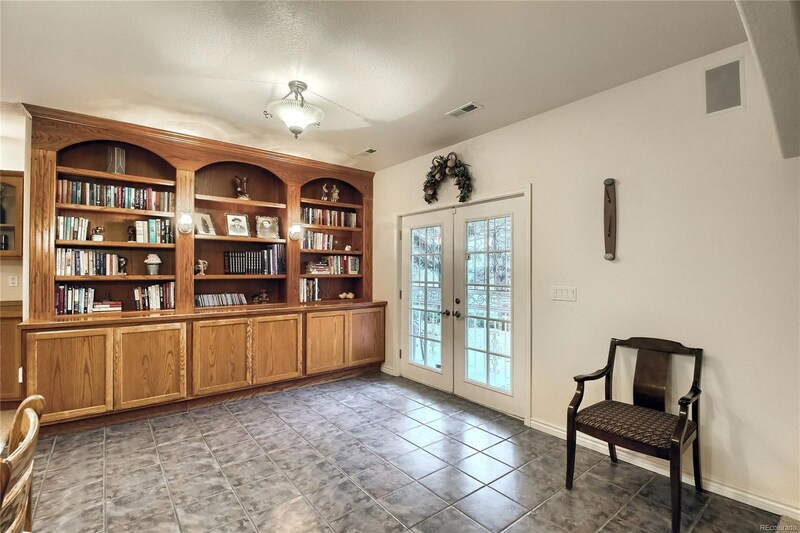 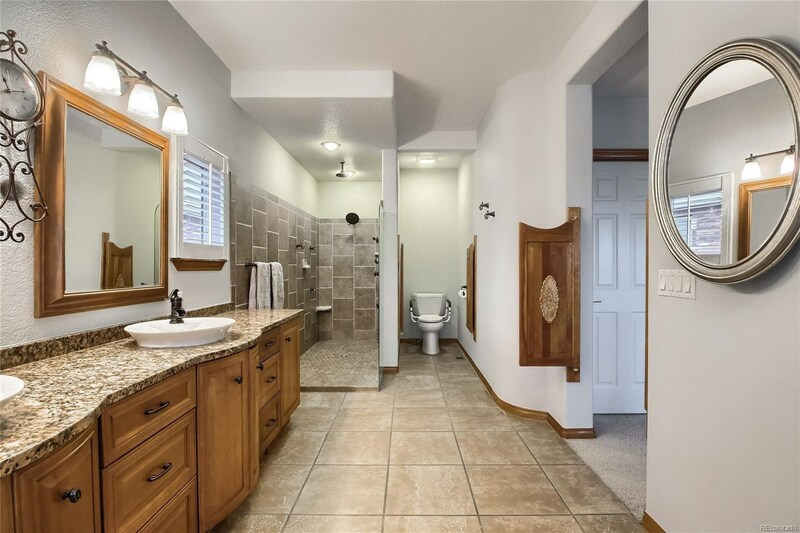 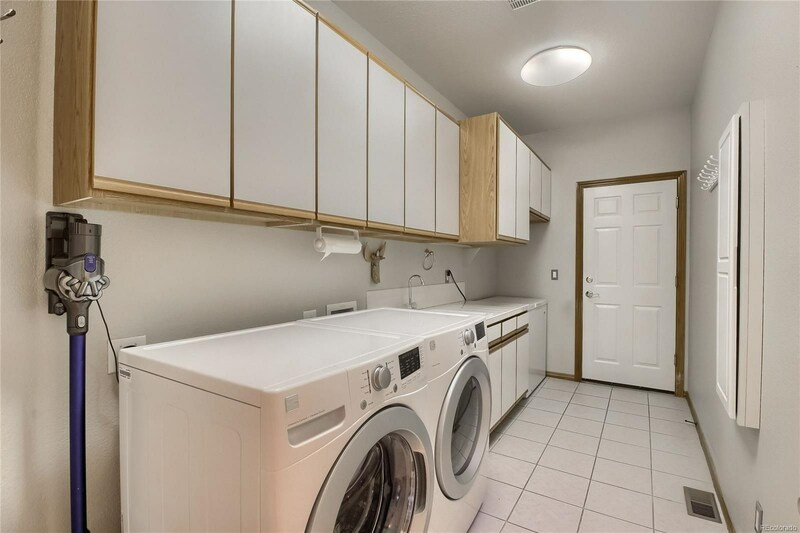 Laundry/mud room off the garage has utility sink and built-in cabinets Two large offices w/French doors. 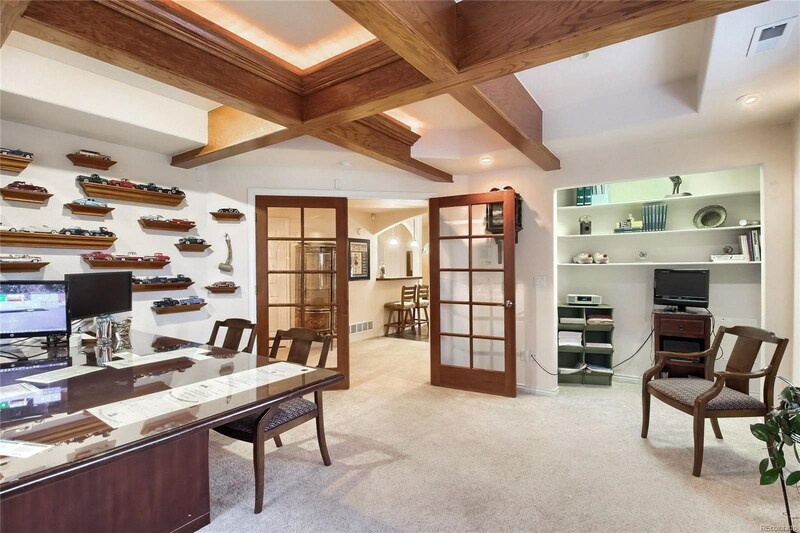 Mother-in-law basement. 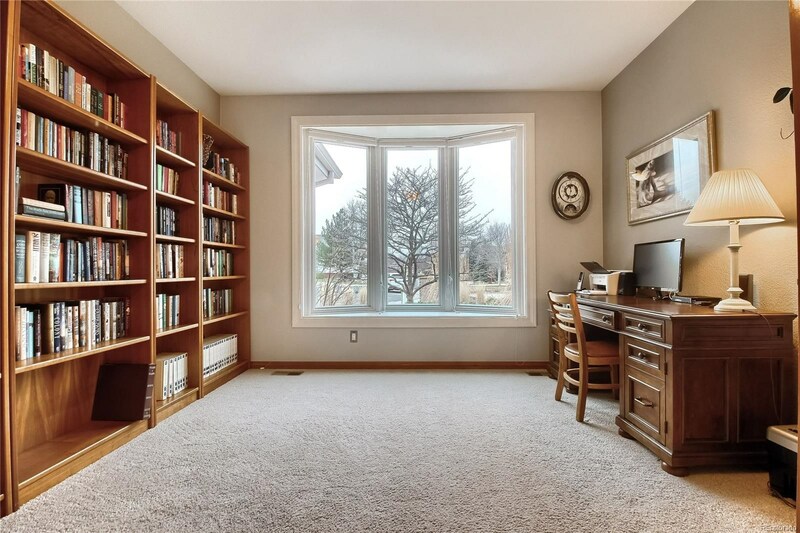 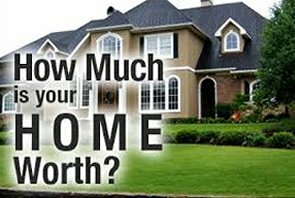 Three fireplaces, new garage doors, ceiling fans, hardwood floors, new windows up, built-in bookshelves throughout and massive storage rooms.